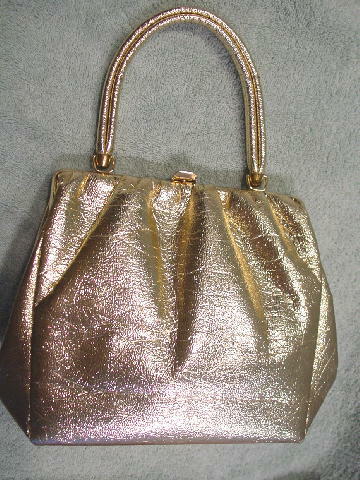 This gold lame vintage handbag has a krinkled surface. 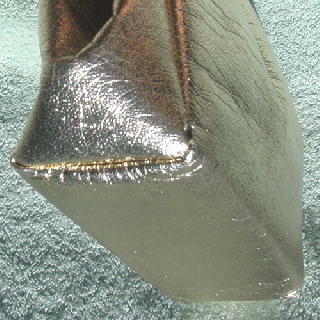 There are a gold-tone metal rim, top clasp closure, handle, caps, and hooks. 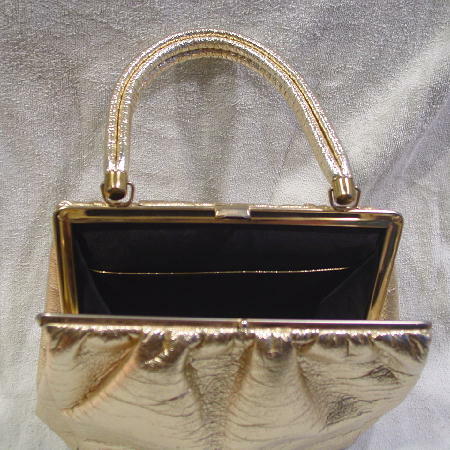 The interior has a black shiny fabric lining with a back open pocket with a gold-tone rim. It has a 12 1/2" double long handle. The bottom corners have some gold lame color missing.